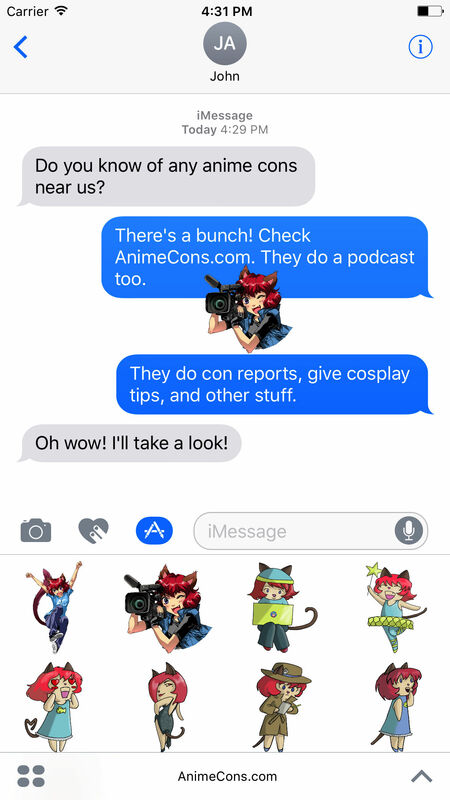 AnimeCons.com launched in 2003 and in that time, our mascot, Connie, has gone through multiple iterations. 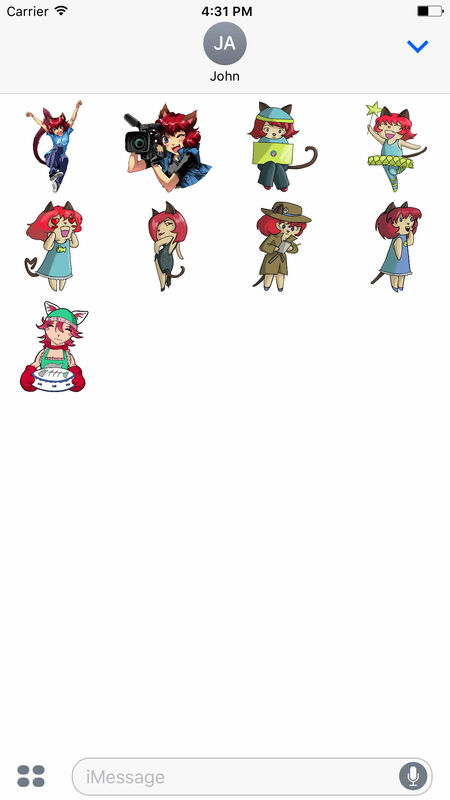 The art has evolved from the original design created by Riki "Riddle" LeCotey and the chibi artwork by Sarah "Nami" Hevey used for the first four years of AnimeCons TV to the current artwork created by Svetlana Chmakova. We've released an iOS sticker pack featuring all of this artwork. 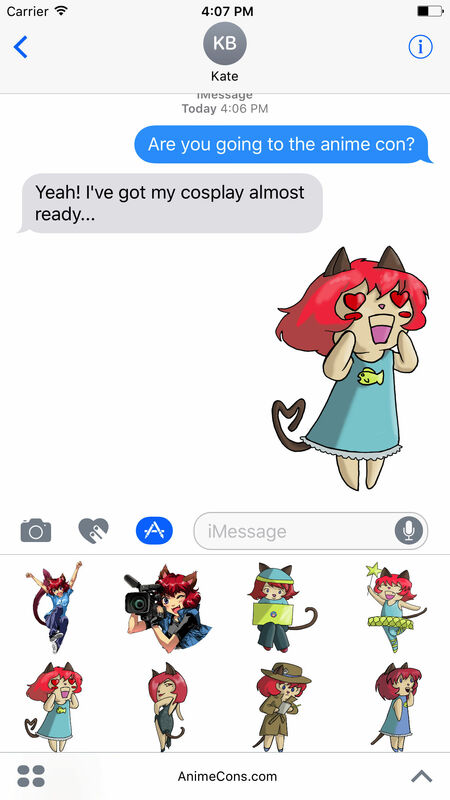 Using Apple's Messages app (which you use when you send a text to anyone), you can tap a sticker and place it into the conversation or you can tap and hold a sticker to drag it up onto a previous message. 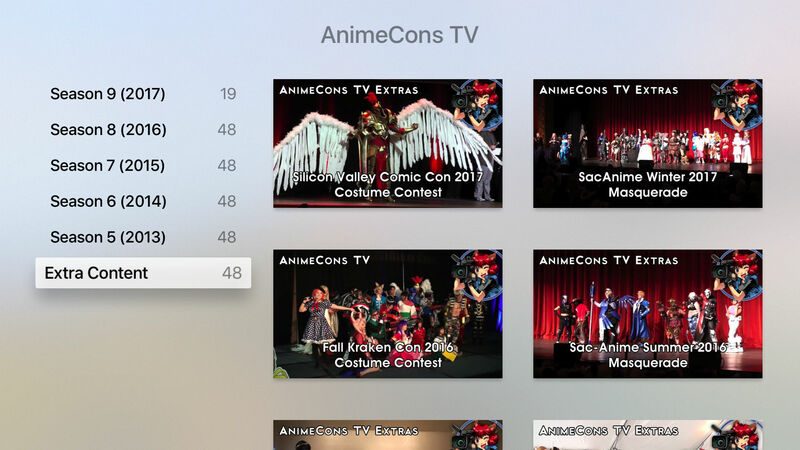 We've also launched an AnimeCons TV app for Apple TV. 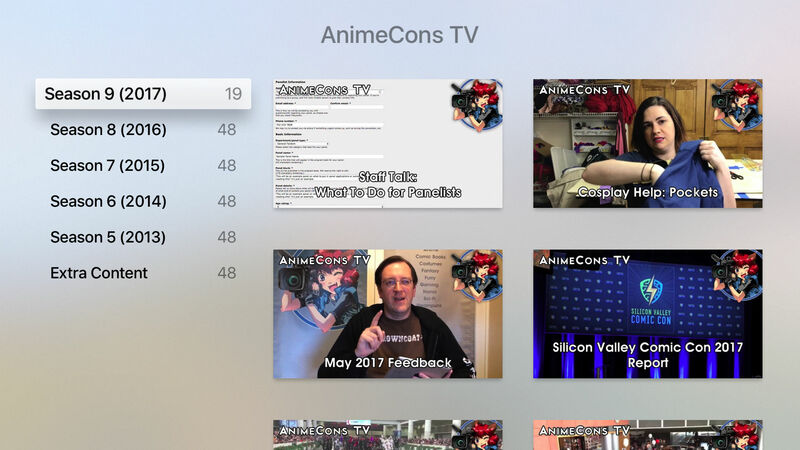 Launching as a podcast in 2009, AnimeCons TV has published over 250 episodes and 48 "extras" such as full costume contests and guest interviews. The show started publishing in HD at the start of its 5th season and the Apple TV app allows for easy viewing of any of those HD episodes from the last 4+ years as well as all of our "extras" content. New episodes of AnimeCons TV are published every Monday at 3pm Eastern, Noon Pacific. They are available in the Apple TV app, on YouTube, and in our podcast feeds. Both the iOS stickers and the Apple TV app are available as free downloads.